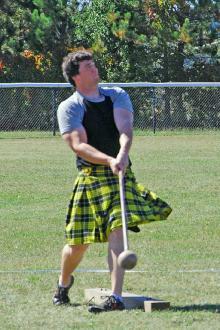 The Second Annual Celtic Quarter Eestival and Copper Hammer Highland Games was held Saturday, September 15 at the Hancock Driving Park. 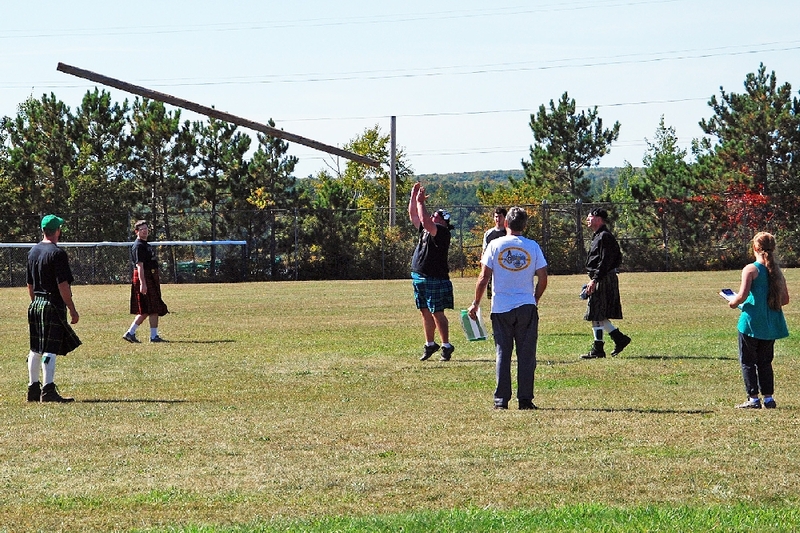 A full day of activities and athletic games brought good crowds to observe and mingle with local Celtic clan and members. 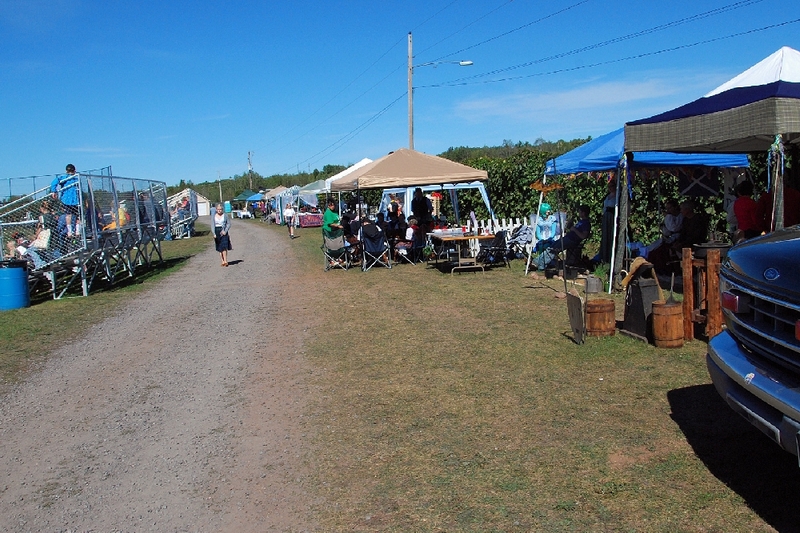 A number of information and vendor booths were set up on site. 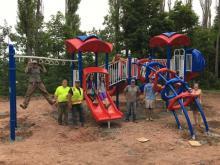 The 16 # Hammer Toss. The object is to spin several times to build up hammer velocity, then release to achieve the furthest distance from the thrower.The competitor is Jarod Berryman, who was also the overall Highland Games winner for the day. 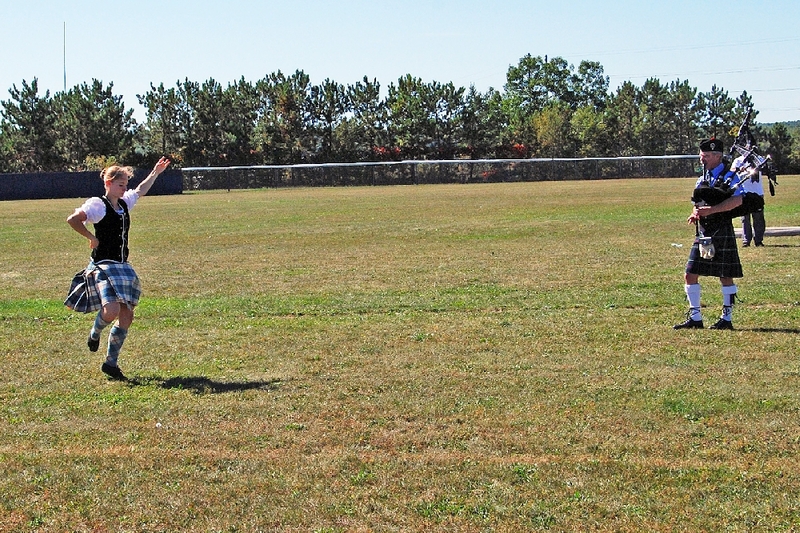 This contestant, Phil Johnson, really 'wound up' and managed the longest throw of the day. 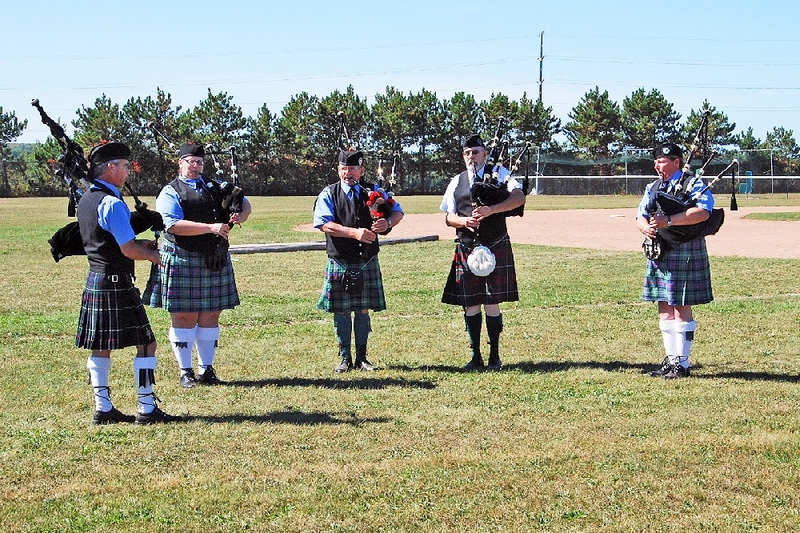 A member of he Superior Pipes and Drums demonstrates one of the Highland Dances for the crowd. 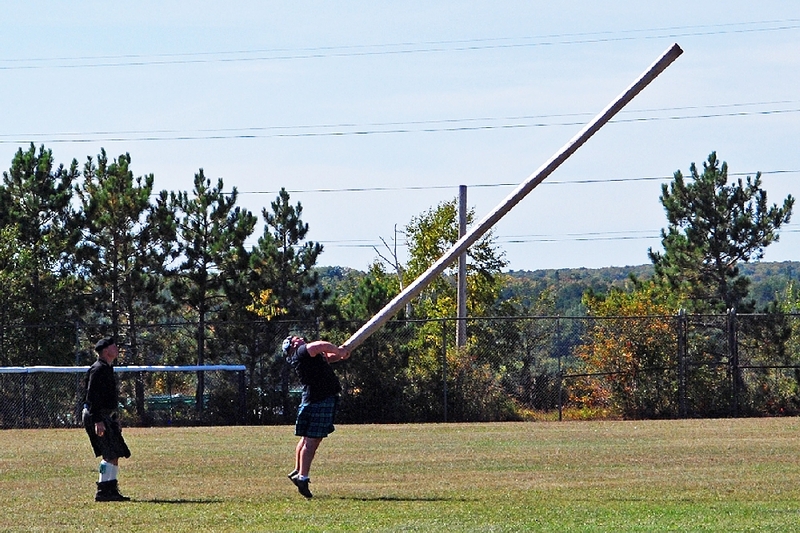 And the most awaited Game of the day, the Caber Toss. Here, the ultimate winner of this particular event, Phil Johnson, takes his turn in Round One (of three attempts). 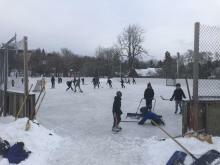 Four of the contestants tied in the First Round, and went on the Round Two, using a bigger and heavier pole. His perfect toss in Round Two won him the Title, and Round Three was not needed to determine a winner. The Superior Pipes and Drums perform for the crowd. 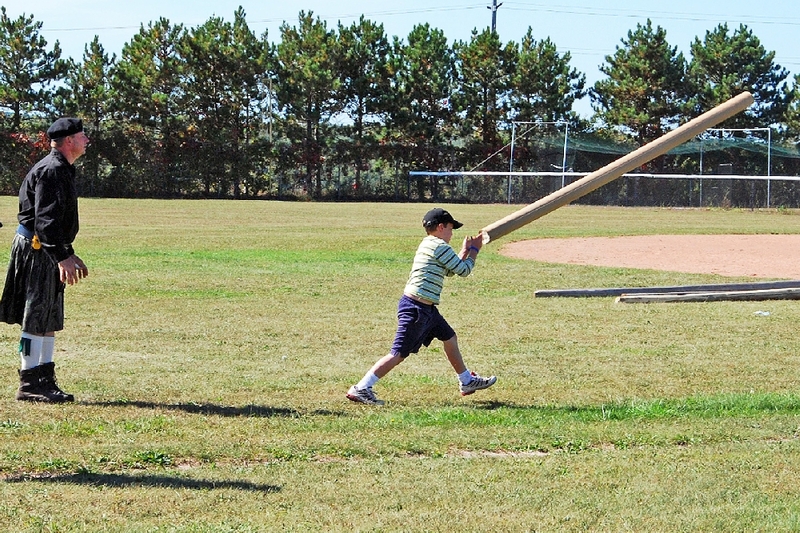 Using paper and cardboard instead of wood, young athletes work on their technique to throw their own version of the Caber Toss. 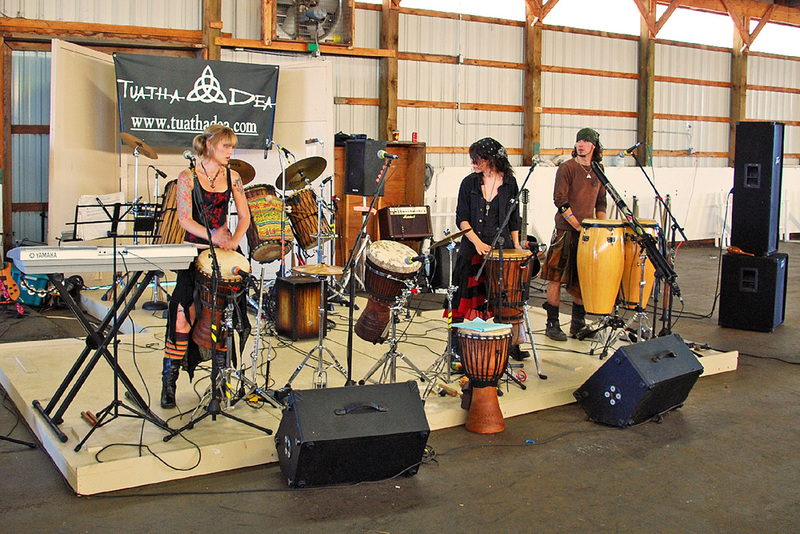 The Tuatha Dea musical group from Gatlinburg, TN performed during the day and evening, Celtic music and Celtic rock, in the Fair 4-H building. 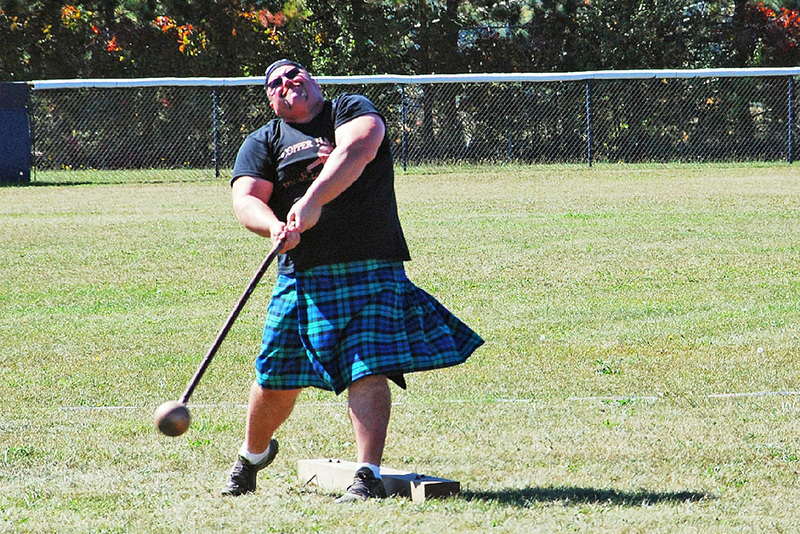 Come join us next September for the Third Annual Celtic Quarter Festival and Copper Hammer Games. 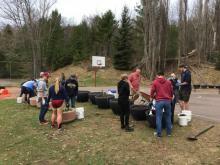 Our thanks to Randy McClellan for the Games results information.